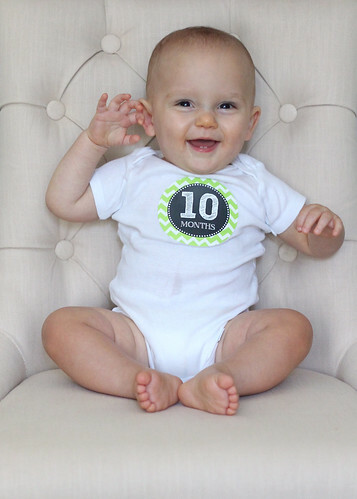 It seems like I was just writing out Connor's nine-month post, but here I am doing the ten-month one already! Time flies when you're having fun. :) Here's our giggly, curious, sweet little boy at ten months! Birth Weight: 6 pounds, 6.5 ounces. Current Weight: 22 pounds, 6 ounces. The subway in New York. Sitting still for long enough to drink a bottle. When Mommy plays with other babies at playgroup. Walking around holding onto furniture or just one of our hands. Climbing up a step or two on the stairs. Lots of new words: duck, light, downstairs, all done, up, this, that, and yeah (still no sign of "mama" though!). Following basic commands/questions like "Can you drink some water?" or "Can you turn off the light?" Sleeping a full 12 hours at night! Oh, and y'all... he's finally getting some hair, and it looks like it's dark dark dark, just like his mama's! So now we're less than two months away from the big first birthday! It's hard to believe. It feels like Connor was JUST born, but it's also hard to remember what it was like when we didn't have him in our lives. We say all the time that he was just the most perfect little addition to our family. His little personality just fits with us so well, and Jeff and I are having a blast being his parents. 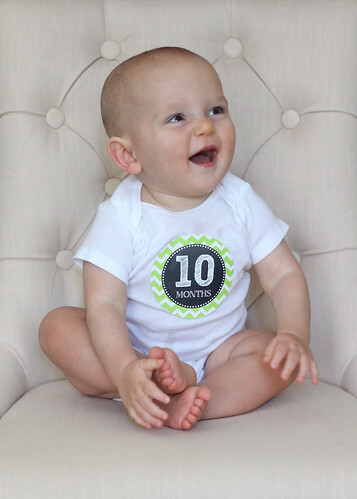 Happy ten months, little one. As always, we are so, so proud of you, and we love being your mommy and daddy! You guys went to New York and didn't Instagram anything?! Ha ha! Glad Connor enjoyed himself though :) And hooray for 12 hours of sleep! As an entrepreneur, finding new innovation or new administrations that assistance computerize your business can have a gigantic effect in your opportunity administration and your efficiency.website backup What number of more customers might you be able to catch up with and add to your business on the off chance that you arranged for 30 minutes, a hour, or as much as 2 hours per day?